Nearly a week after Hurricane Irma swept through dozens of islands in the Caribbean on Sep. 6 and 7, killing more than a dozen people and flattening buildings and homes, the Seventh-day Adventist Church is still trying to account for all of its members. No fatalities among church members have been reported yet. “This has been the most extensive disaster to affect our territory,” said Pastor Kern Tobias, president of the church in the Caribbean Union. Just days before the hurricane struck Barbuda, one of the hardest hit islands, Pastor Tobias visited the only Adventist Church there for Sabbath worship. 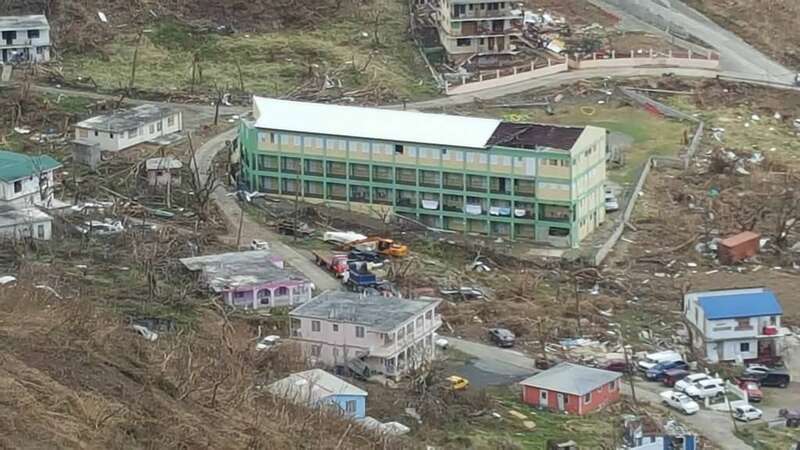 The government of Barbuda estimated that 95 percent of buildings and homes were damaged by the 150-mile-per-hour winds. “All residents of the islands were transported to the neighboring island of Antigua and are now in shelters, including our church members,” explained Tobias. An Adventist Church there in Antigua is coordinating with the local government to function as a shelter, added Tobias. It will take months before church members can rebuild their homes and the church in Barbuda can be rebuilt, said Tobias. “The thing about our people in the islands is that they are very resilient and move about fast and pitch some tarpaulin and get the church running and ministering again in the community,” said Tobias. Another nine churches were severely or partially damaged in Anegada, Anguilla, St. Eustatious, St. Maarten, St. Thomas, and Tortola in the North Caribbean Conference, reported Tobias. Church schools were partially destroyed in St. Thomas, Tortola and St. Maarten as well. Tobias said that nearly 3,000 church members were affected, most of them in the North Caribbean Conference. Despite the setback, the church around the conference is organizing its humanitarian efforts for those in need. “The church is organizing assistance to persons in need of food, clothing and repairs to roofs,” said James. The church’s Community Services, service groups and the local Adventist Development and Relief Agency (ADRA) have been teaming up to help. 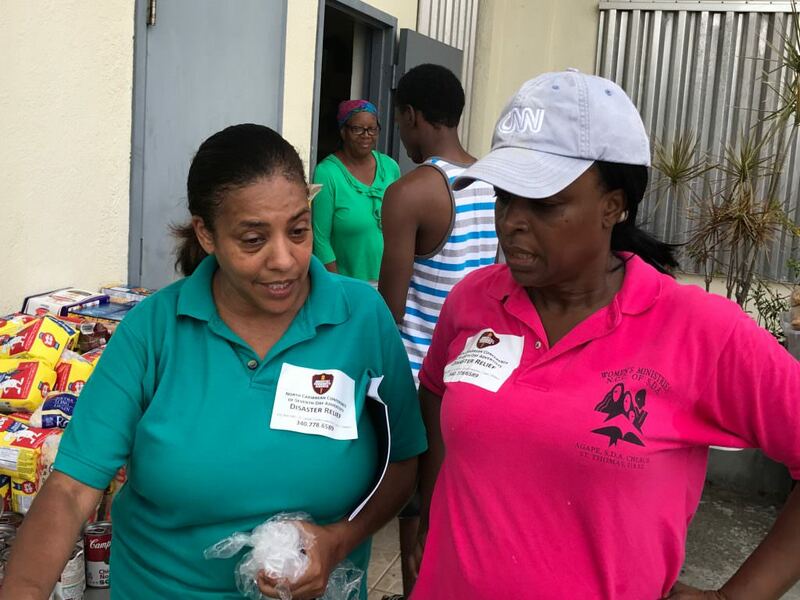 Water and food were distributed to 100 families in St. Thomas yesterday, thanks to the North Caribbean Conference’s relief funds to provide initial support to the members and community, James added. Alexander Isaacs, ADRA director for the Caribbean Union, worked with ADRA Inter-America and ADRA International ahead of the storm, holding daily meetings and making plans to assist communities in the wake of Irma. There are some estimated 125,000 people across the English-speaking Caribbean islands who were affected by Irma. 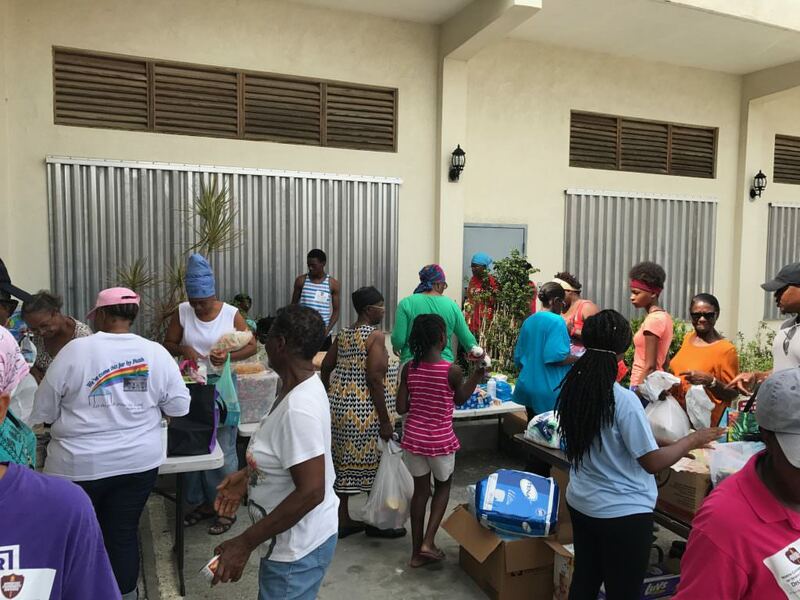 “ADRA’s initial response will consist of providing water, food baskets, and hygiene kits to 12,000 persons affected in St. Marten, Tortola, Eustatius, St. Thomas, and Virgin Island Gorda,” said Isaacs. An ADRA Emergency Response Team, including trained experts from ADRA International, ADRA Inter-America, ADRA South America and ADRA Caribbean, are scheduled to arrive by the end of the week to coordinate the efforts, including packaging of goods by church member volunteers and the distribution of items to meet those immediate needs, explained Isaacs. The team will also continue the need assessment with other partners, and government disaster response agencies to better assist in the resettlement of affected families once the initial response is completed, said Isaacs. According to Isaacs, by the weekend, thousands should have water, food, blankets and tarps,” Isaacs added. Hurricane Irma barreled into the central and western coastal parts of Cuba causing catastrophic damage and flooding on Sep. 8. “Just last night we were able to go through Old Havana and there is still flooding, most without electricity and many affected,” said Dayamí Rodríguez, communication director for the church in Cuba. Rodríguez said church leaders expect to have more information by Sep. 18. Damage to homes and churches in Turks and Caicos and several islands in The Bahamas, as well as northern parts of Haiti, was also reported by church leaders. ADRA local offices are assessing damage and scheduled to provide immediate needs to affected communities. “Hurricanes, tornadoes, flooding and earthquakes have never caused so much damage in a span of five days throughout the Inter-American Division territory,” said David Poloche, ADRA Inter-America director. Hurricane Irma hit Florida on Sunday, Sept. 10, knocking down trees and power at the Inter-American Division headquarters office in Miami, Florida, United States. No structural damage to the building was reported. The headquarter office will reopen on Monday, Sep. 18, 2017, said Israel Leito, president of the church in Inter-America. “We continue to pray for our members and remain committed to providing the best assistance we can in the aftermath of these disasters,” Leito said. Royston Philbert contributed to this report.